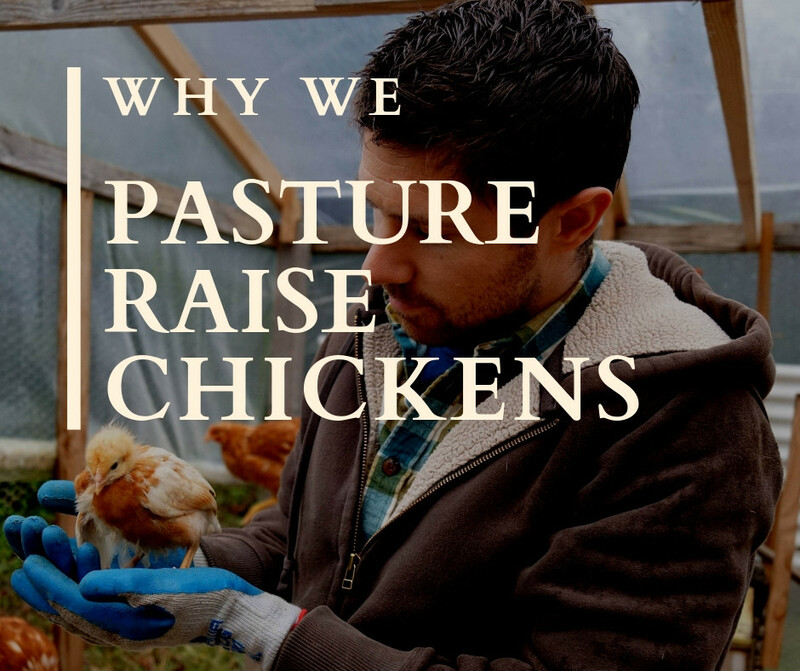 Raising chickens on pastures is better for humans, animals, and the health of our farm ecosystems. But surely grocery store chicken can't be that bad, right? Well, let's take a look. 99% of all chickens raised in the U.S. spend most of their lives indoors in factory farms, and sadly this includes those labeled as "free-range" and "organic." The conditions on these farms are terrible for the animals, the farmers, the neighbors, and anyone downstream (hint: that's most of us and all of our oceans.) Growing to slaughter weight in less than 42 days (6 weeks! ), they spend most of their lives sitting down because walking becomes too difficult. Just your standard "Free Range" chickens. But doesn't "free range" mean that they get to run around outside? In short, no. To label your product as "free Range" the chickens just need to have "access to the outdoors." This can mean a door on one side of the barn. If that's not bad enough, the outdoor area doesn't have to be grass-covered. In fact, many free-range farms use "poultry porches," allowing the chickens to "free-range" on a small, covered porch. Another sad nuance to these free-range rules is that they don't apply until the birds are 4 weeks old. That gives "Free Range" broiler chickens a two week window in which to enjoy the great outdoors... if they could find the door... and it was open... and they were physically able to walk the distance. Oh, and the "great outdoors" is a small porch. For two weeks. 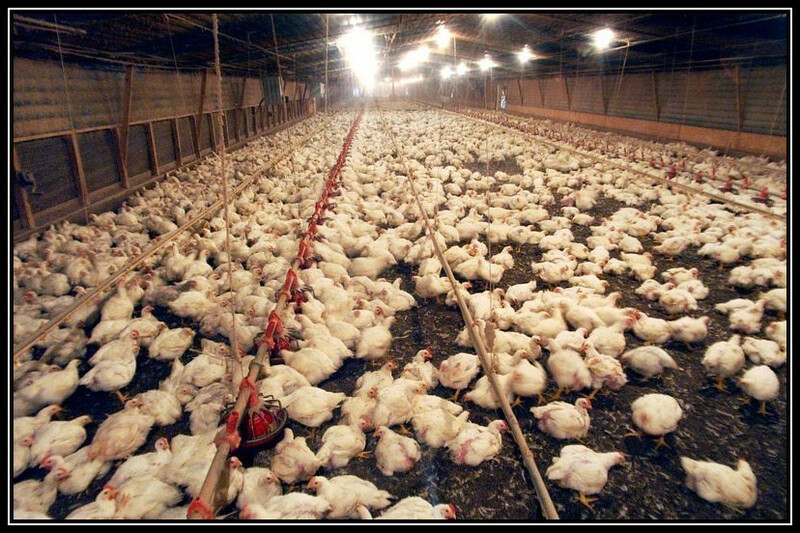 Perhaps by now you are getting a sense for why "Free Range" is not exactly what most people expect it to be. 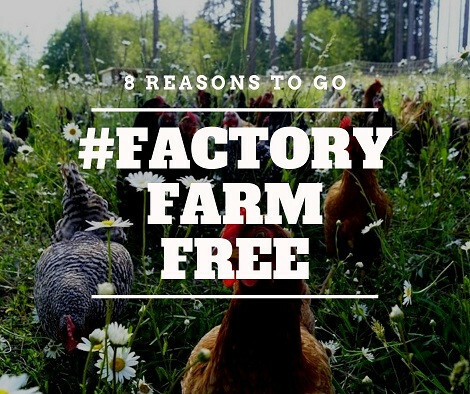 We throw all of that "free-range" nonsense out the window. We don't think chickens are widgets to be pumped out of a factory. We proceed from the simple idea that chickens are complex biological organisms that evolved - like all animals - within a specific ecological context. When we raise them within that context, the consumer benefits, the animals benefit, and the farm ecosystem benefits. But modern broiler chickens bear only a small resemblance to heritage chickens, and even less to their biological ancestor, the Red Junglefowl, which was first domesticated over 5,000 years ago. To put this new hybrid chicken, which as been bred by humans for rapid weight gain in an indoor context, into the ecological context of the Red Junglefowl simply wouldn't make much sense. So after throwing out the concept of a factory farm (raising animals outside their ecological context) the next step is to throw out the factory farm genetics. We raise a slower growing breed called Freedom Rangers. To be clear, Freedom Rangers are still an extremely fast growing breed (we process ours at 10 weeks.) But this more modest growth rate results in some very obvious welfare benefits, and makes them much better suited to the pasture environment. The longer grow out period has another benefit as well: FLAVOR. Simply put, flavor develops with age, a varied diet, and with animal movement. Raising slower-growing chickens on pastures checks off all of these boxes nicely. Our birds don't have "access to the outdoors." They live outdoors in mobile shelters and are moved to fresh pasture every single day. This daily move is critical as it provides them with a continual supply of clean bedding, fresh air, green material, bugs and grubs, allowing them to stay healthy without antibiotics. Then at ten weeks of age (nearly twice the industry standard,) they are humanely processed by hand in our on-farm WSDA licensed poultry processing facility. Processing on-farm means they do not have to endure the stress of transport. So what do you think? Do chickens belong in fields or factories?